at a fraction of the cost. The Total Blender Classic is the all-in-one appliance that makes smoothies, fresh juice, ice cream, milk shakes, cappuccinos, margaritas, soups, sauces, bread dough, dressings, salsas and more! It replaces up to 9 other appliances with 1 fast, easy-to-use machine. This package includes the new precision–tuned 4″ blade in the large, nearly 3-quart, BPA-free WildSide jar. The new large blade and large jar combination powers through tougher blending tasks and larger recipes with ease—and in less time. 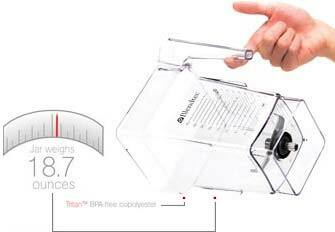 Blendtec’s extra-strong jar material is exceptionally light. So the only thing you need to worry about lifting is your next delicious blend. 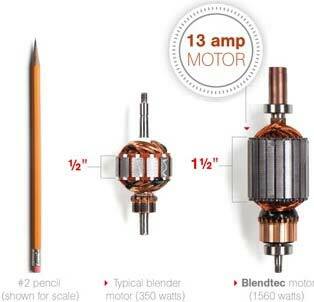 You didn’t know that motors have brushes, did you? They do. And they can wear out quickly. Unless they’re made of electrographitic carbon, like in a Blendtec blender. Then they’ll last a very, very long time. 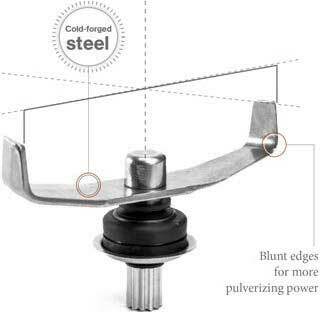 Blendtec’s ultra-hard stainless steel blades are cold-forged and tuned for heavy use. This allows them to be stronger and resist corrosion much better than lesser blades. Blendtec’s patented vertical wingtips and precision angles are engineered for ultimate efficiency. The distinct single-blade design allows your ingredients to fall easily in front of the blades. Friction is the nemesis of all high-powered equipment. 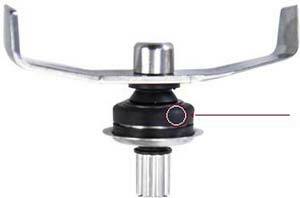 Ball bearings reduce friction so you can blend faster and quieter. 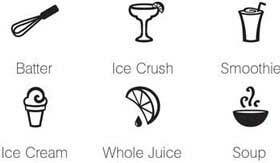 It’s all surrounded by a rubber mount that absorbs the shock produced by blending ice and frozen fruit. 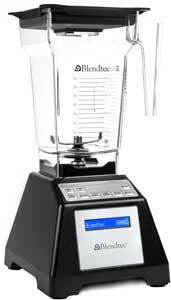 The most powerful motor available for home blenders is at the heart of your Blendtec experience. More power means easier blending of the most stubborn ingredients. Be assured that even a blender as powerful as a Blendtec blender is ETL certified, which means it meets national safety standards. DOES YOUR BLENDER—HAVE A BRAIN? Most blenders are dumb. It’s pretty much “go” and “stop,” with a few speeds in between. But a Blendtec looks after itself – monitoring everything from speed to operating temperature to motor safety. All while ?flawlessly executing pre-programmed blend cycles. 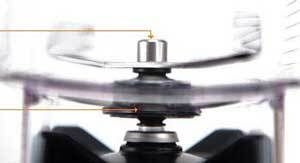 Even the smallest parts in a Blendtec product have received big attention from our engineers. Round and smooth for easy cleaning—and—permanently attached at the factory – adding to jar safety. 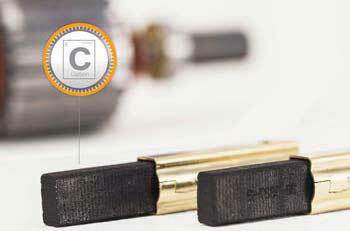 Sonically welded into the jar for extra strength and durability. Out of sight, out of mind? Forget it. 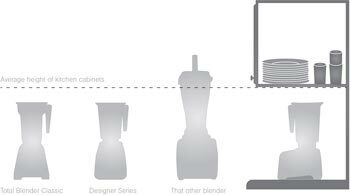 Blendtec’s small size and low profile mean you can store your blender in plain sight right where you can use it most — on your countertop. We’ve done all the trial and error so you don’t have to. Pre-programmed blend cycles let you craft perfect food creations with just one touch – from your very first try. Each Blendtec blender comes with the Fresh Blends recipe book. Each of its 200+ recipes delivers delicious results using blend cycles of 90 seconds or less!